Analysis： Reference price of Potassium Chloride is 347.461USD/MT, up 0.0% from 347.445USD/MT on 2019-04-19. 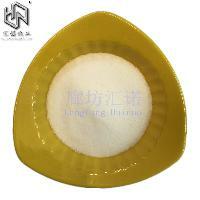 Lianyungang Jingyue food ingredients Co. Ltd.
Lianyungang Xi Han Industrial Co. Ltd.
Beijing Apis Biotechnology Co., Ltd. The product's REACH pre-registration has passed the verification by Echemi. It's valid until June 1st, 2018. The product's REACH registration has passed the verification by Echemi. It's valid.